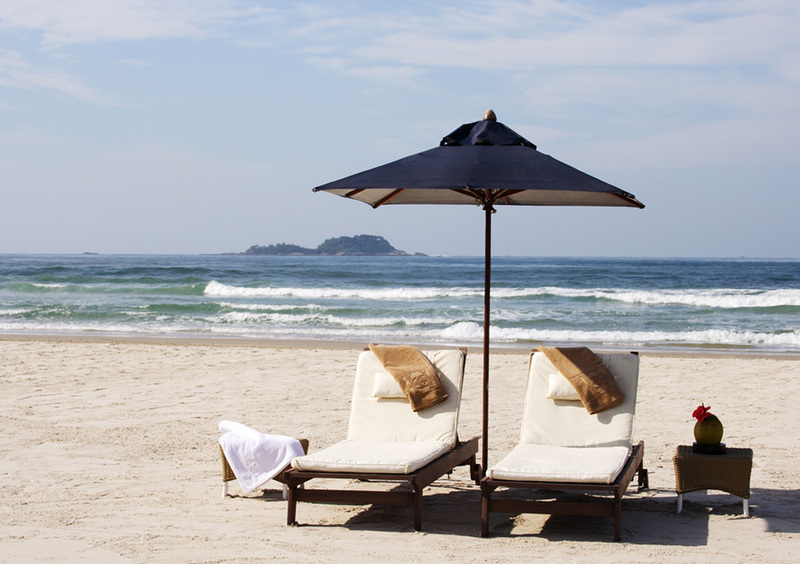 It provides more than 5 miles of white sands and many leisure options. 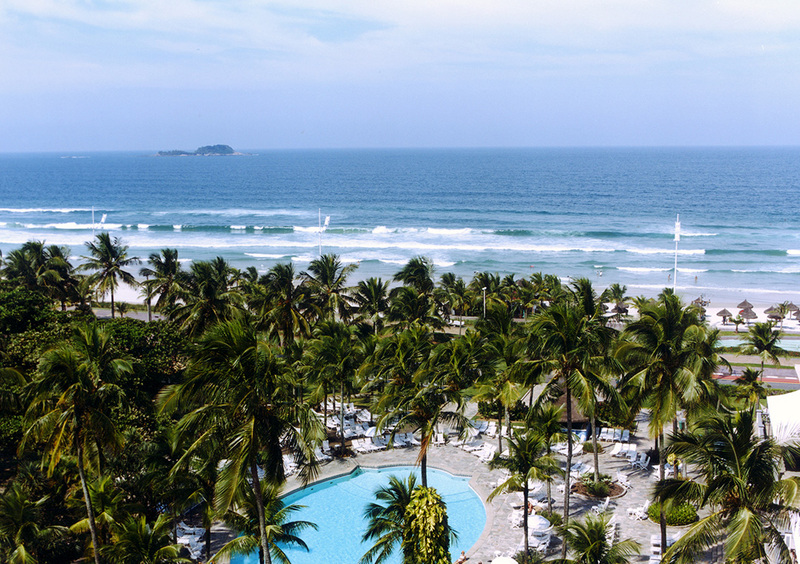 The Enseada is the largest beach of Guarujá, with 5,650 meters of extension and the greater diversity of attractions of the island. 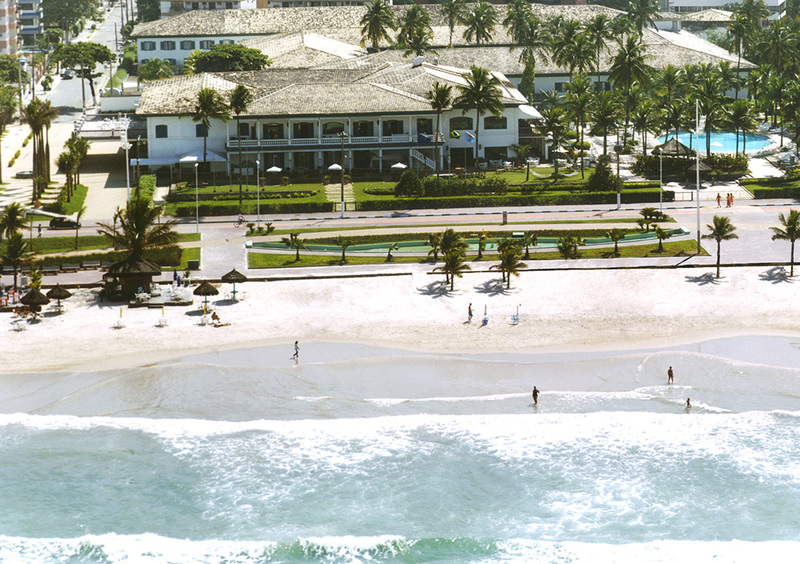 Its wide stretch of white sand is ideal for walking, jogging, beach soccer and other beach sports. 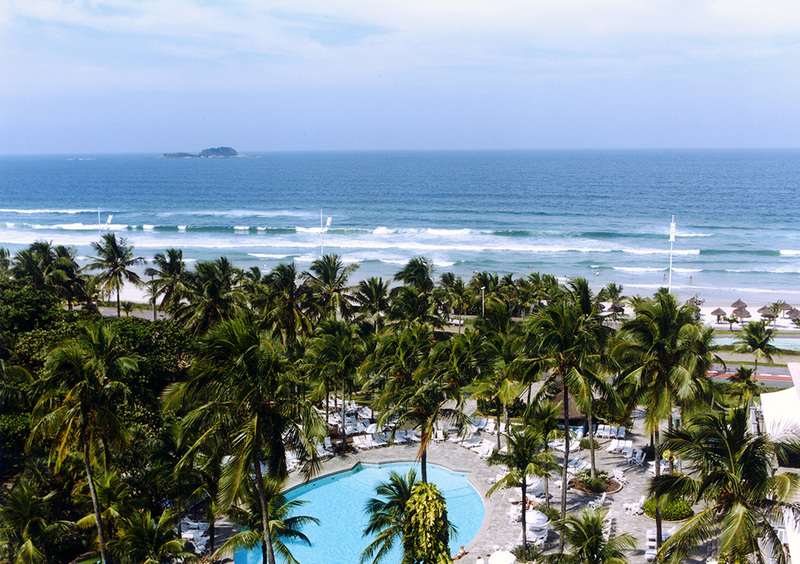 At the sea, the tourist finds perfect waters for bathing, diving and surfing, as well as being able to take a boat ride, jet-ski, kayak and sailboat. 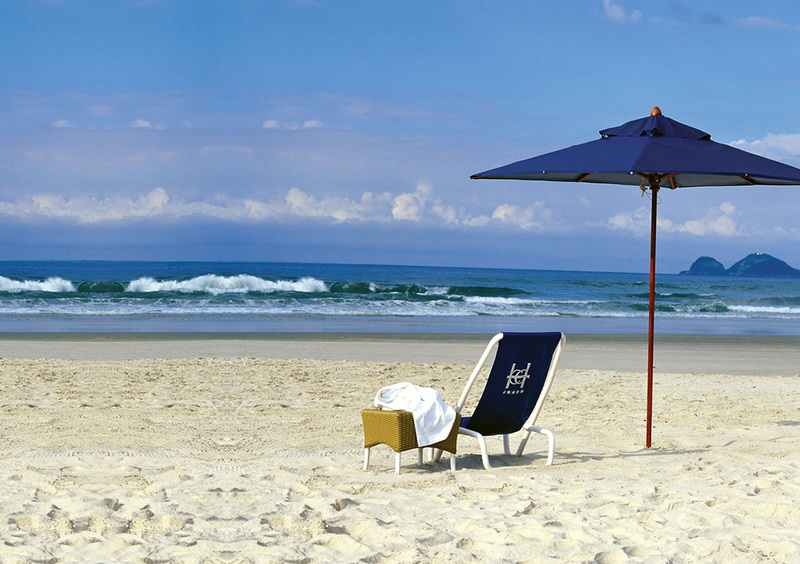 The most popular beach in Guarujá also offers a complete security structure, with signs and lifeguards always in place. 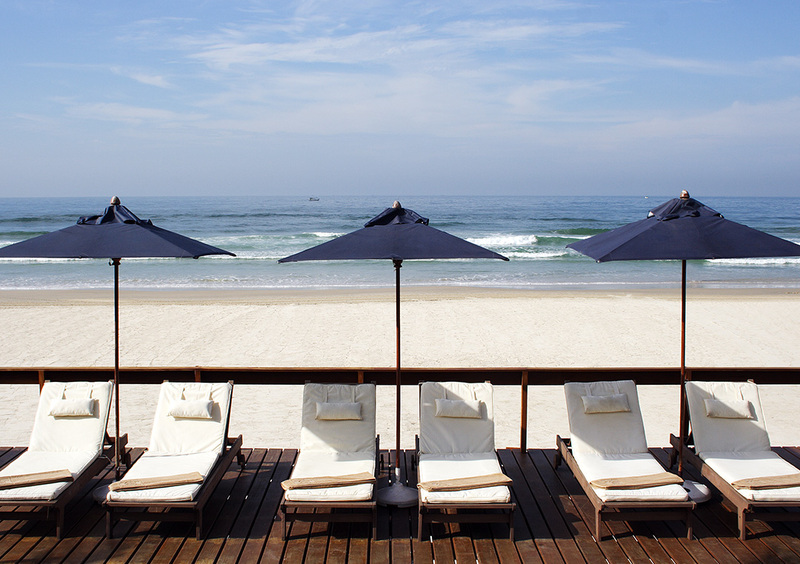 And guests of the Casa Grande Hotel still have the privilege of an exclusive Beach Bar service, with drinks and snacks served at any time of the day. The privilege of diving into a famous postcard. All outdoor swimming pools are acclimatized. 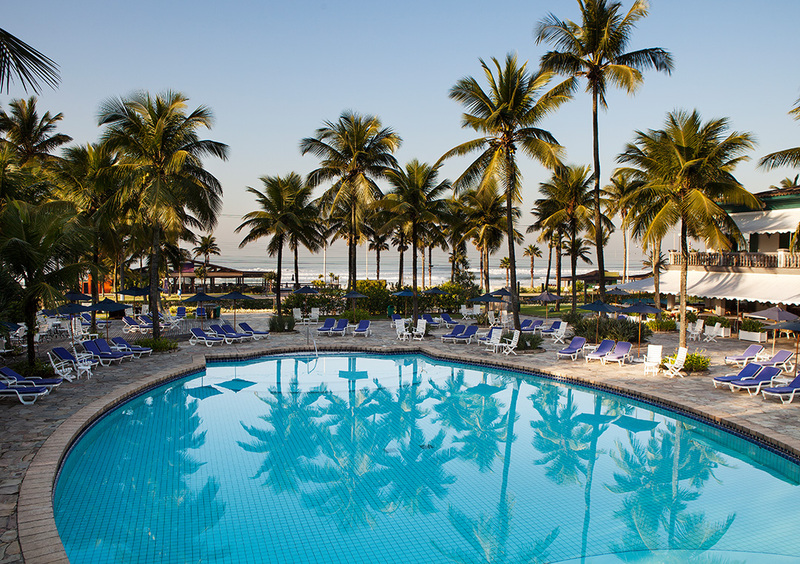 The main pool at Casa Grande Hotel Resort & Spa is probably its largest and best known postcard. 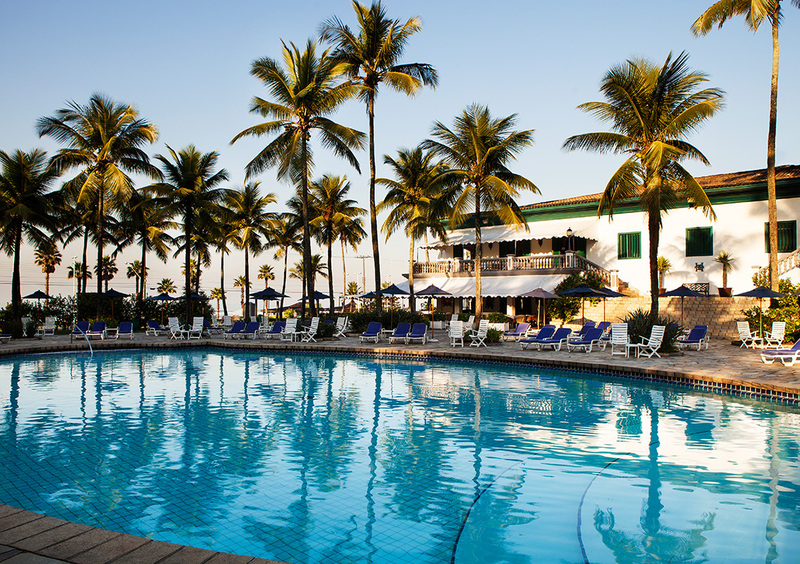 With acclimatized waters, it is surrounded by charming palm trees, and flanked by large gardens with hammocks and rest areas. 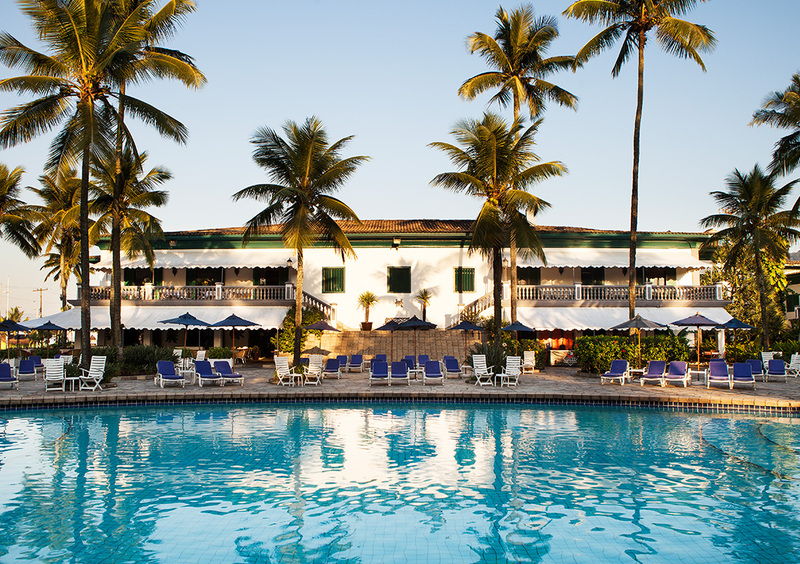 While enjoying the sun and the water, guests have access to all the different services of the Pool Bar, with exclusive care. 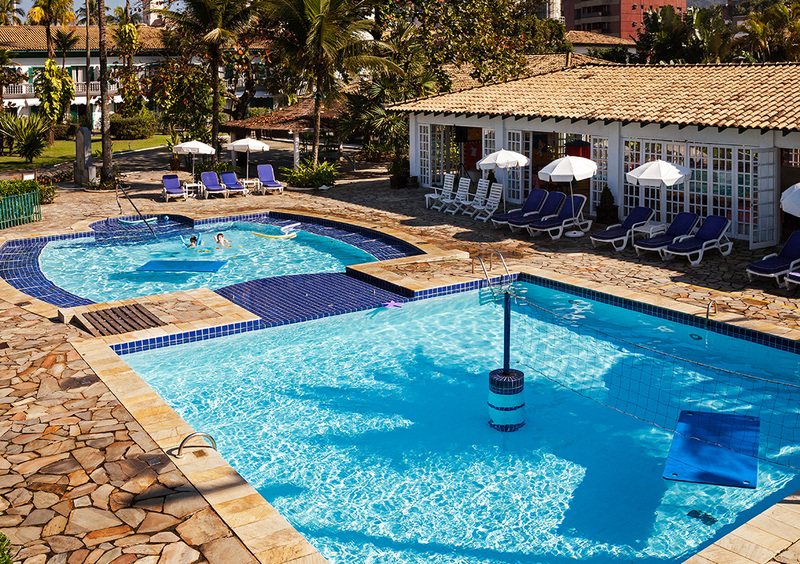 And the hotel still offers two pools in the area designed for children, with games accompanied by a team of monitors. On the other hand, the Spa has a heated swimming pool with infinity edge beside the watersoaking (a complete hydro next to the male and female saunas, special space for guests and clients of the Spa. The pleasure and charm of outdoor sports. On the multi-sports court of the Casa Grande Hotel Resort & Spa, adults and children meet in the most diverse ball games, generally practiced with the simple intention of having fun. 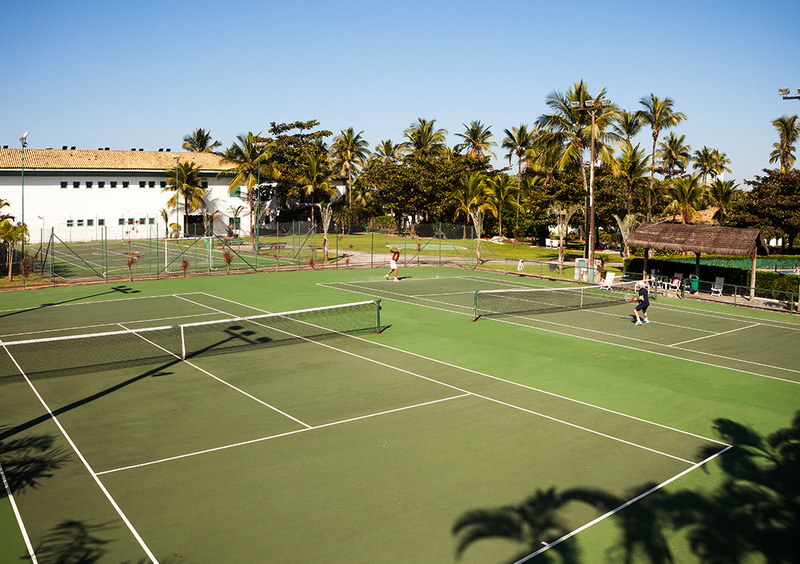 For professional or amateur tennis players, the fast tennis courts are close to the Spasíssimo, inviting you for a double or single match under the pleasant sound of the sea. 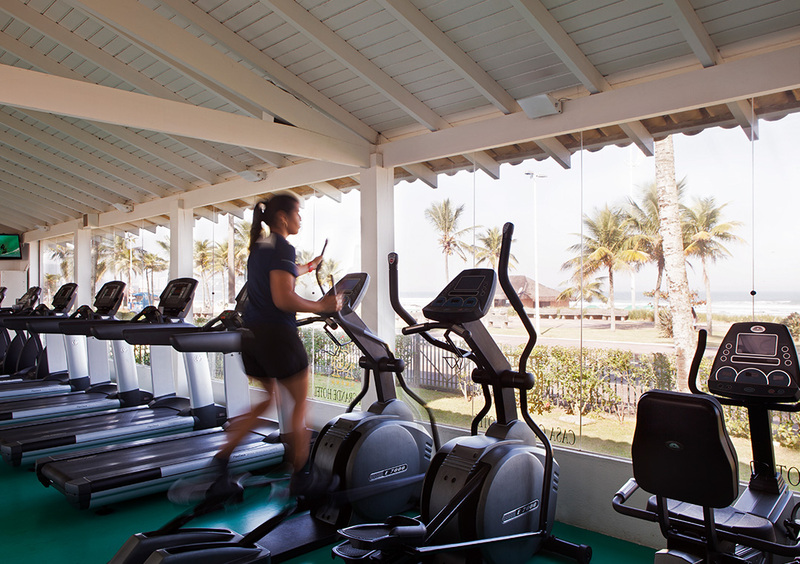 For added convenience, guests can rent rackets and balls from the hotel’s reception. The best indoor entertainment for adults and children. 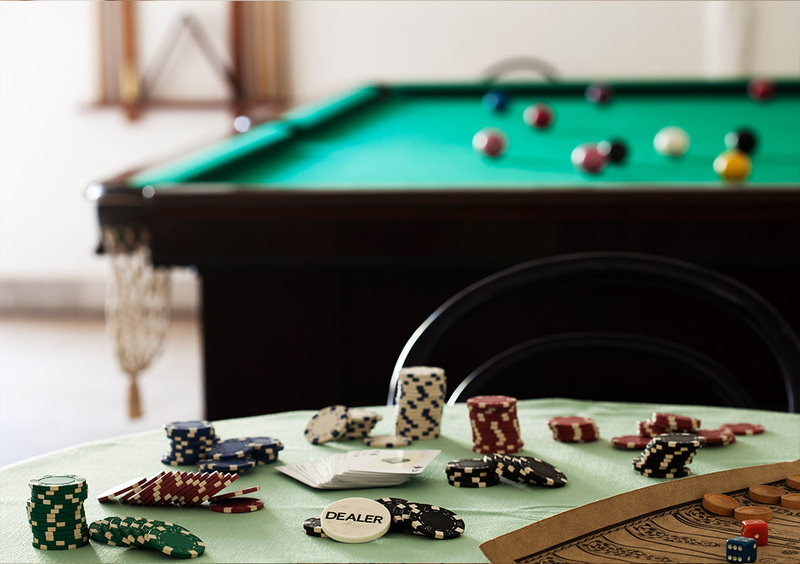 Ping-pong tables, pool tables and board games are attractions aside for those looking for fun and privacy with friends and family. 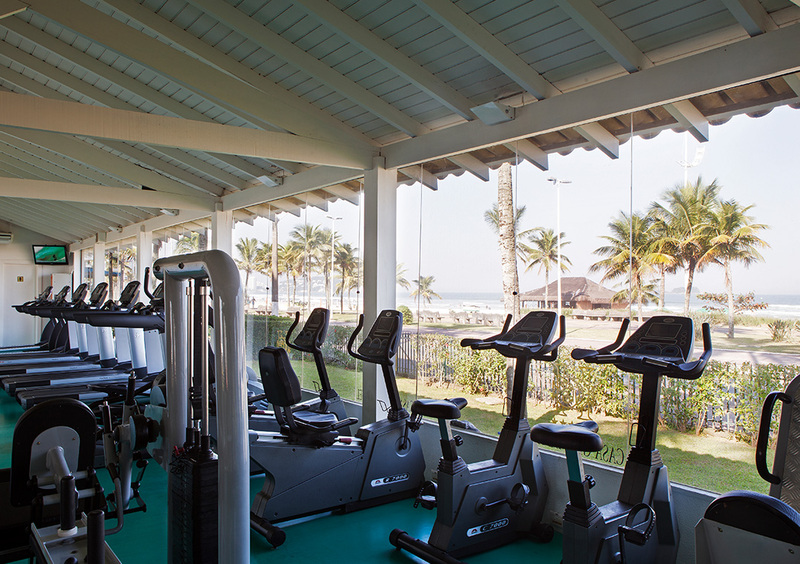 All in a wide environment with much comfort. 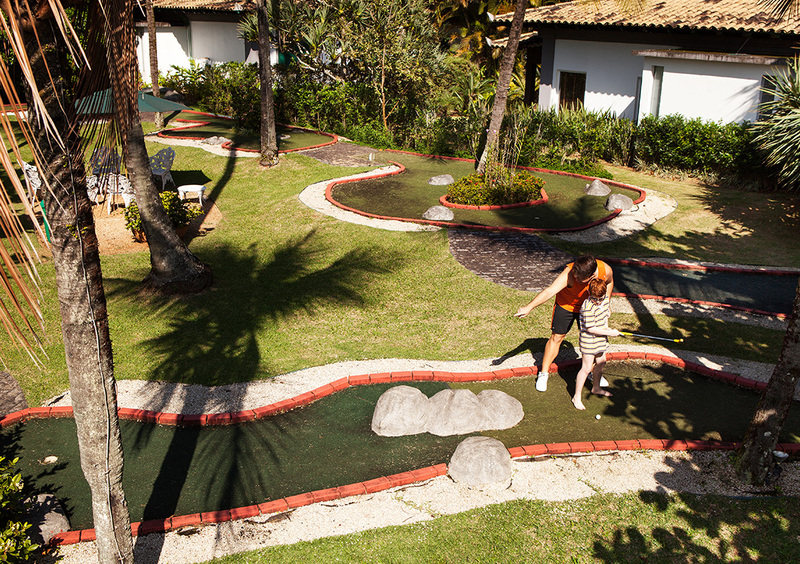 A space reserved for lots of fun. 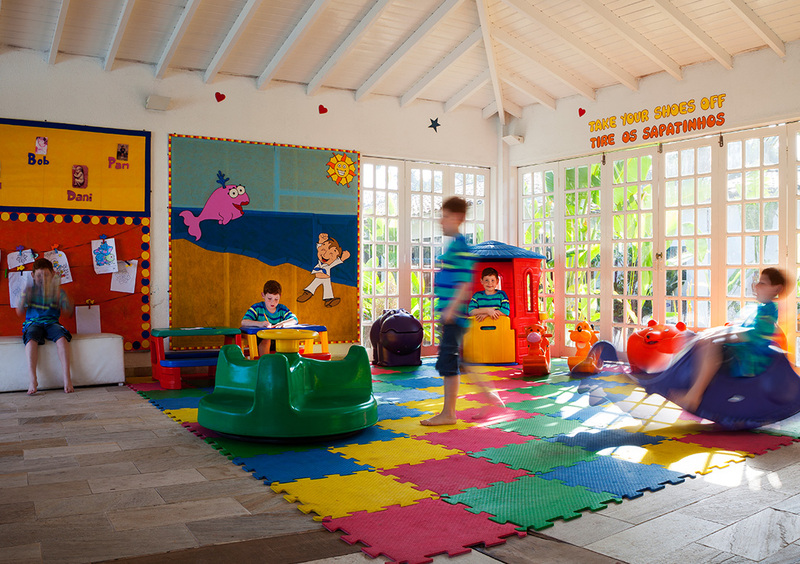 A space dedicated to the leisure and fun of the children. 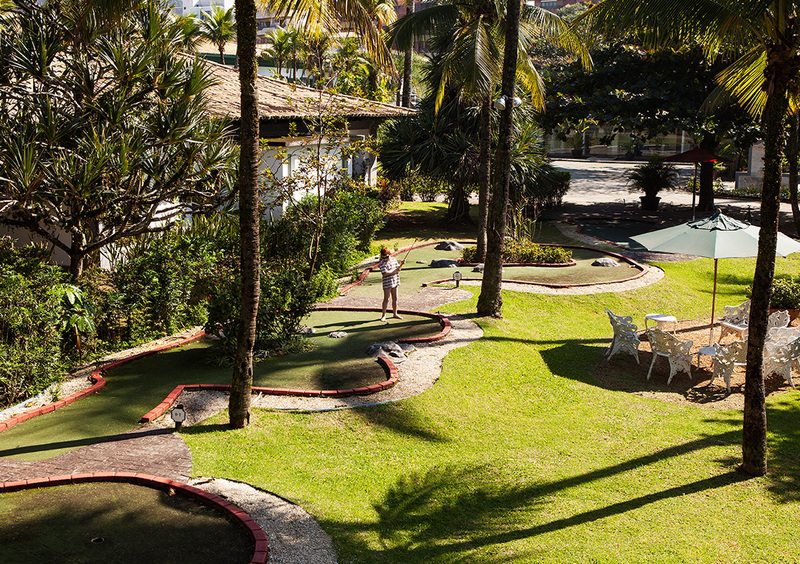 Being 1,500m² big, the space offers an exclusive pool for children, a biribol pool, a covered area of 250m² for games and toys, mini golf course, playground, and our large garden where great games take place. 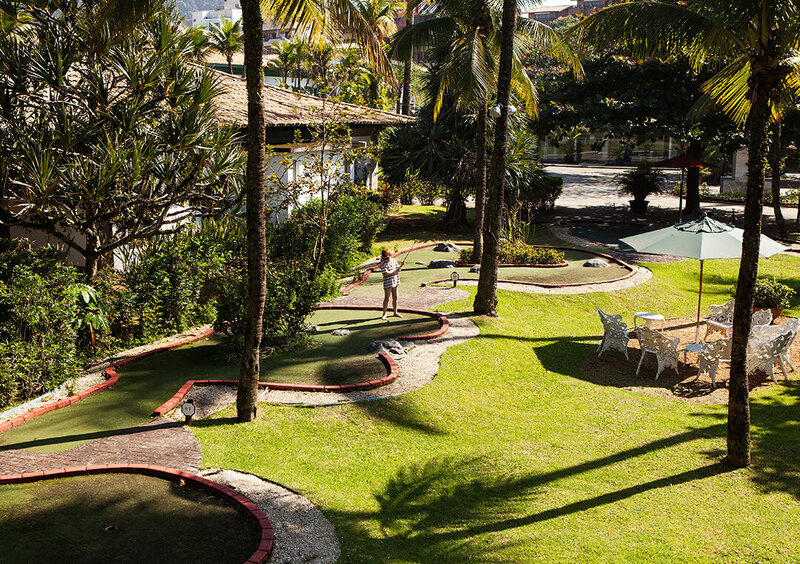 Casa da Criança operates from 9am to 10pm every day. 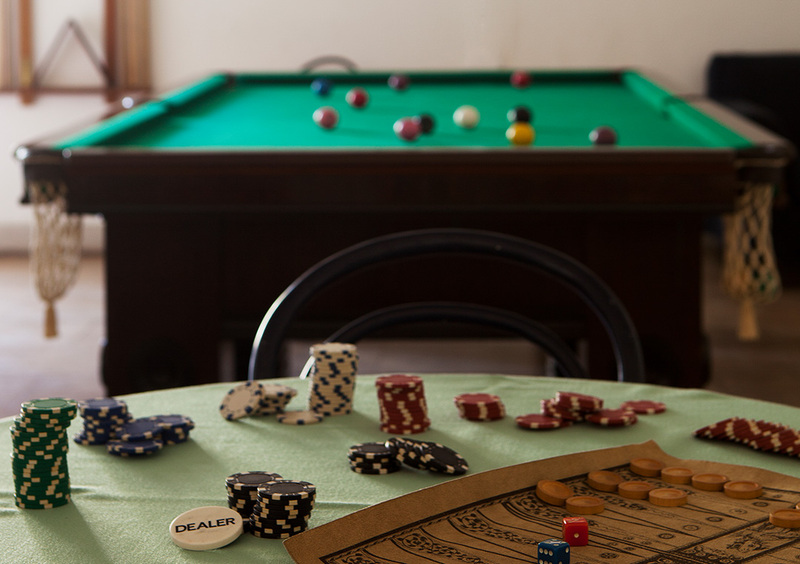 The Casa Grande Hotel still offers a movie theater and a games room for the whole family. Our daily schedule is specially designed to provide safely, unforgettable moments for children and tranquility for parents. 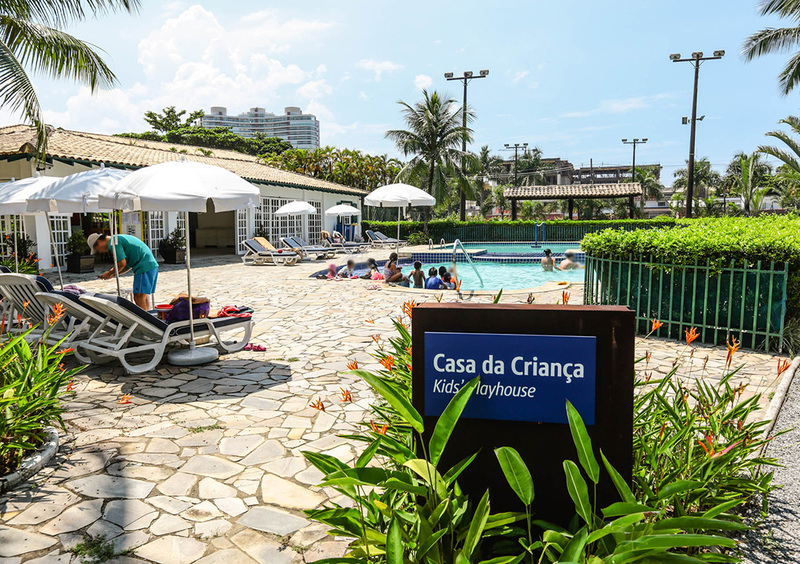 The kids at Casa da Criança are divided into two groups: Os Pirulitos (03 to 06 years old) and Os Gigantes (07 to 12 years old), who during the day participate in activities directed and monitored according to the age group. Children under 3 years old can participate in activities with parents or babysitters. 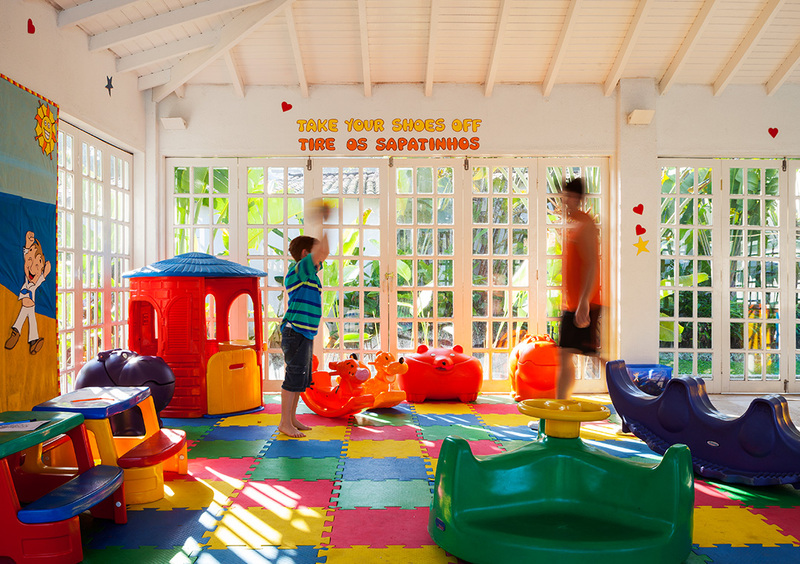 For parents with children under 3 years old, the hotel offers babysitting service, which must be requested in advance with the hotel reception. This service is not included. 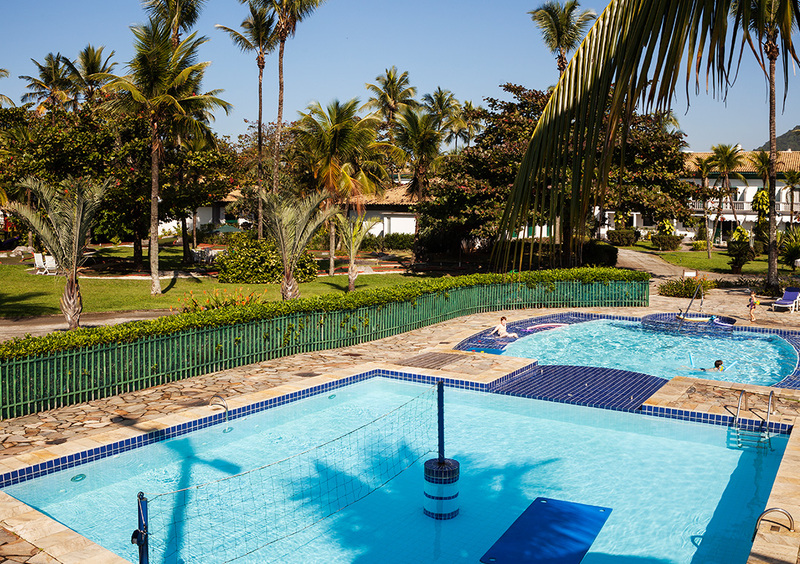 Located at the Casa da Criança, diaper changers and the baby’s dining room – with microwave, refrigerator, electric stove, blender, sterilizer, as well as groceries and fruit basket – are equipment that makes it easier for families with younger children. 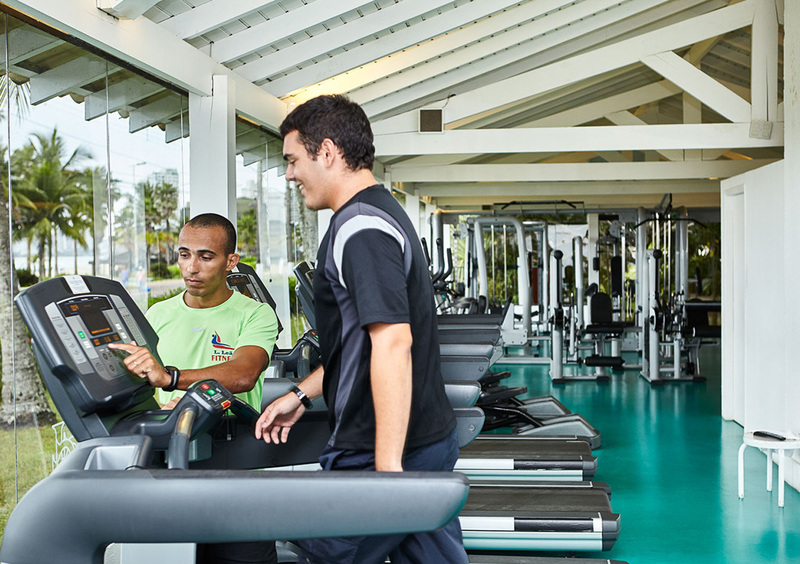 Taking care of your body is even more enjoyable when you have the view of the sea of Guarujá as inspiration. 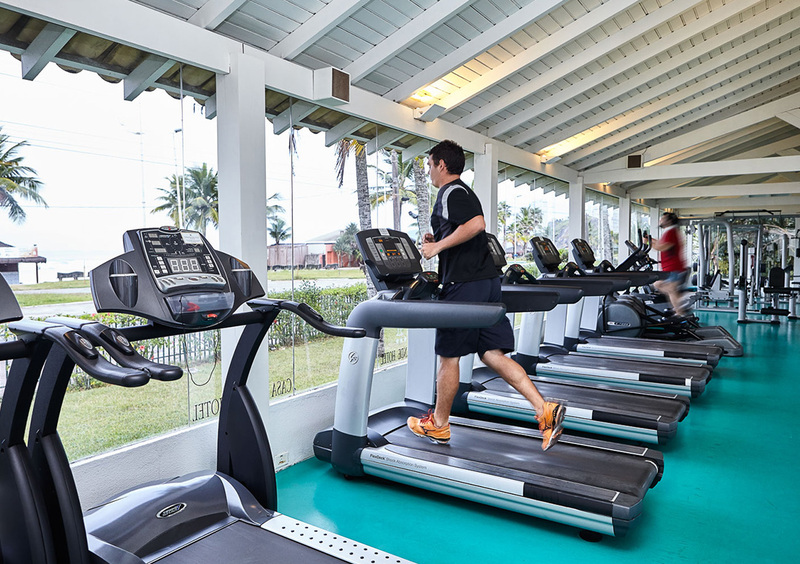 So is the Fitness Center at the Casa Grande Hotel: a complete beach front gym with top-notch equipment, air-conditioned environment, and expert instructor always available. 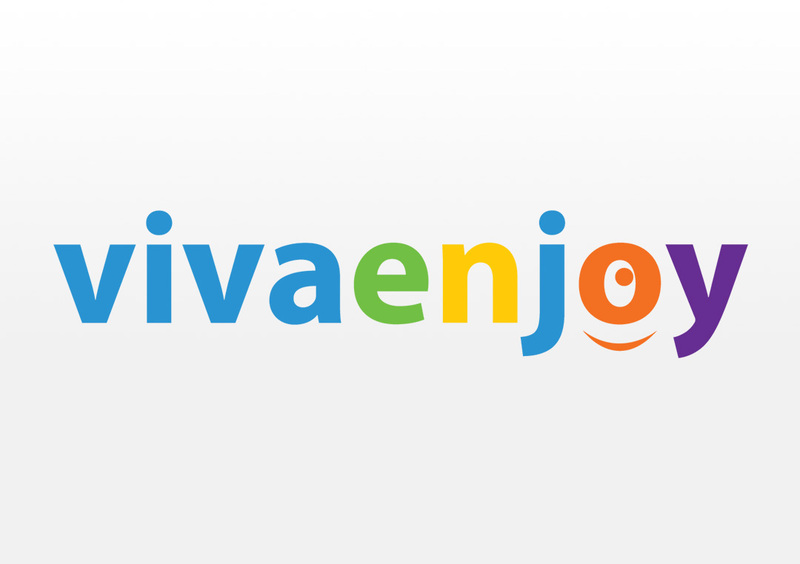 VivaEnjoy specializes in providing guests at Casa Grande Hotel Resort & Spa with experiences that add value to the guests’ stay, as well as events organized by companies using the Rooms Complex, Convention Center and Exhibit Space. Boat, yachts, sailboats and schooners rental, and trips, with or without on-board service. Scuba diving and underwater course, scuba diving with sharks and discount tickets to Acqua Mundo. For the adventurous, Paraglider, Island Adventure Trails, Kayaking, Historical and Ecological Tours, among others. 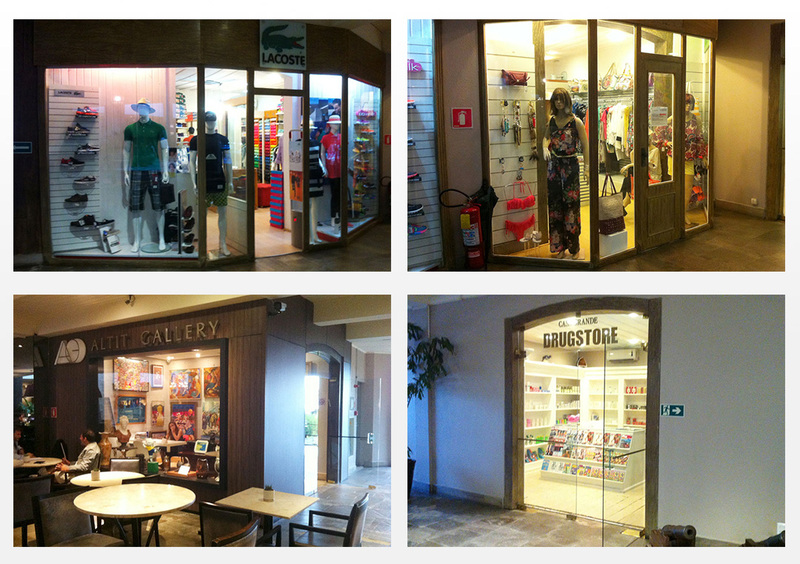 Beachwear fashion, sports fashion, sneakers and footwear. 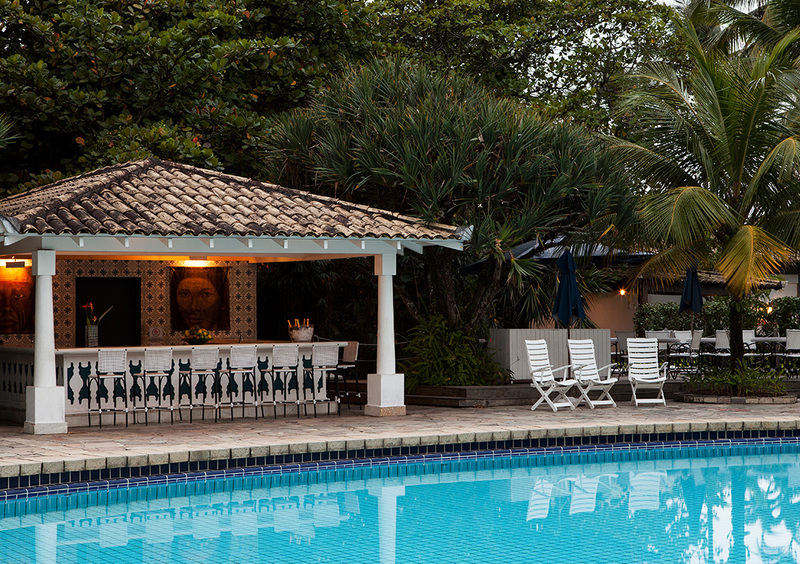 An excellent collection of works of art by the most renowned Brazilian artists. Women’s fashion, swimwear, casual fashion, shoes, and bijou. Products of first necessity, magazines, newspapers and souveniers.